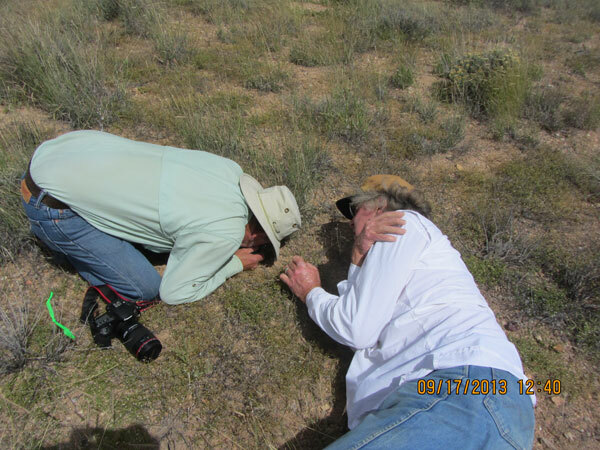 The Grant County Native Plant Society makes periodic trips to the ranch for study and identification. In 2009, Gene Jercinovic — a member of the group who has a heightened interest in smaller plants — found a species he could not identify. 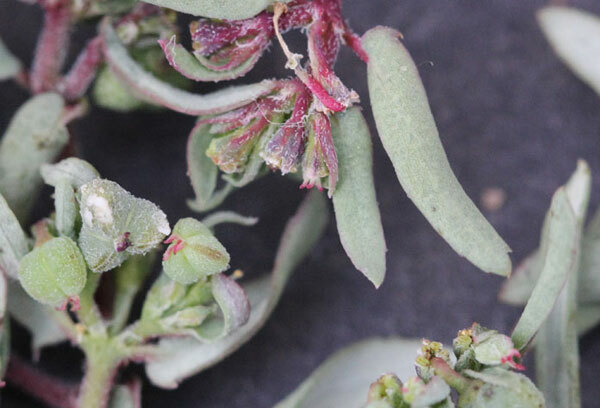 Gene made inquiries to Euphorbia specialists, and what is now known as the Euphorbia rayturneri was initially understood to be another common spurge. 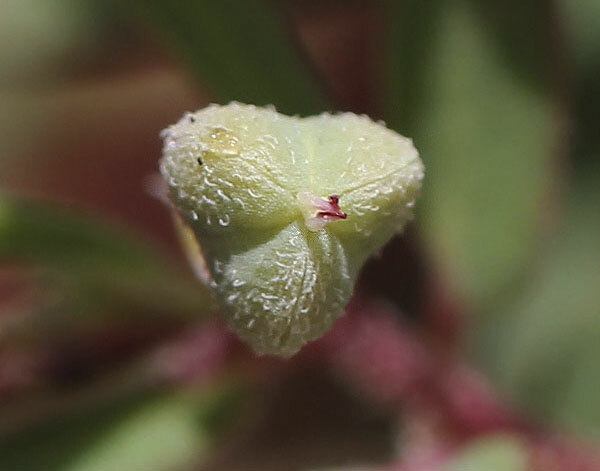 Gene thought otherwise, persisted and eventually convinced experts that his group had discovered a new species – a plant previously unknown to science. 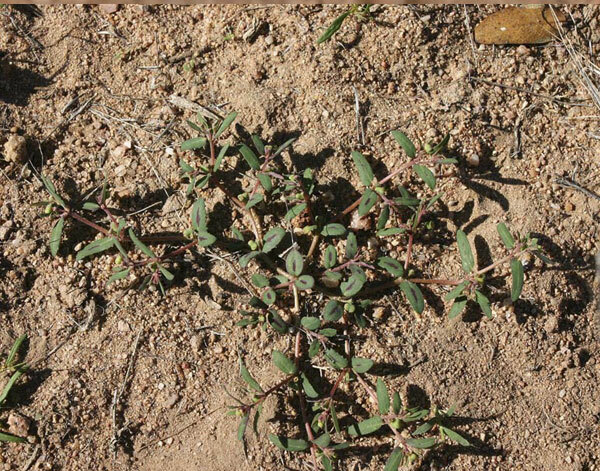 After further study, it was determined that two other partial specimens of the plant had been found earlier in New Mexico, but in both instances, return to the location failed to turn up the curious plant. It remained unknown until discovery of the species on the Pitchfork. Discovery was formally published in 2013 by the prestigious Missouri Botanical Garden in its scientific journal, NOVON, and subsequently by Oxford University Press in Volume 12 of their monumental 28 volume series, Flora of North America. 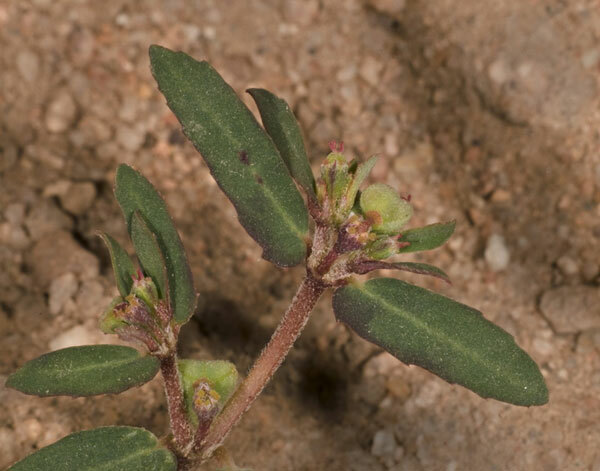 The species was named in recognition of New Mexico/Arizona botanist Ray Turner, who initially found but was unable to successfully pursue identification of the plant, and the Pitchfork Ranch is currently the only place on the planet where the Euphorbia rayturneri is known to exist. Due to its limited distribution and small population size, the plant has been proposed for classification as Critically Endangered (CR) on the International Union for Conservation of Nature (IUCN) Red List that was established in 1964 to evaluate the extinction risk of species. The IUCN is the world’s most comprehensive inventory of the global conservation status of species and recognized as the main authority on their conservation status. Beyond Extinct (EX) and Extinct in the Wild (EW), CR is the highest “at risk” classification, followed by Endangered (EN), Vulnerable (VU), Near Threatened (NT), Least Concern (LC) and Data Deficient (DD).